Grade Lvl: T Author: Kurtz, Lisa A. 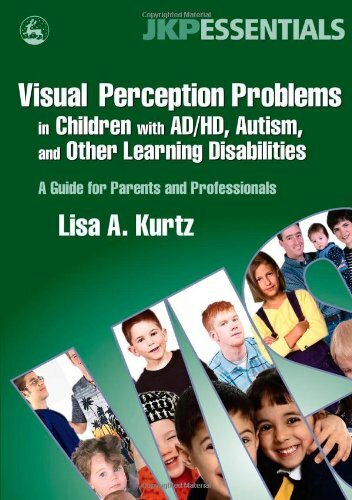 This book provides a comprehensive overview of vision problems in children with developmental disabilities such as AD/HD, autism spectrum disorders, and specific learning disabilities. It is appropriate for parents and professionals alike and offers non-technical explanations of how vision difficulties are screened for and advice on where to seek appropriate professional care. Lisa Kurtz outlines a range of activities for strengthening children's functional vision and perceptual skills using simple, homemade materials that are readily available in the home or classroom.